So, got off work early and started in south Draper working my way from one motorcycle service station to another and no one could fit me in immediately. Served me right for waiting this long to get these knobbies mounted, but I didn’t want to leave the bike and make my wife run me around. 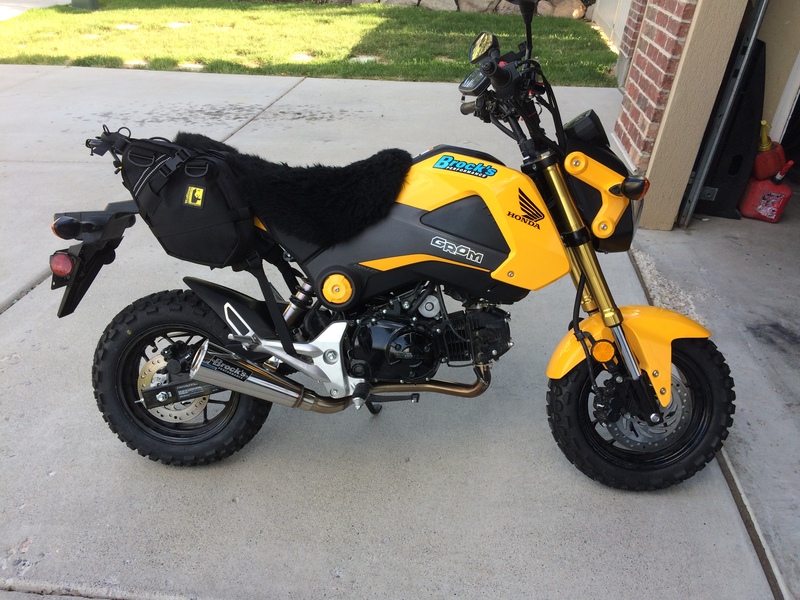 I brought the Grom to work loaded up with my Maxxis tires and full of hope I could find someone to get them mounted. Everyone was friendly as i went from The Edge to the BMW service desk, but no one could fit me in. I got smiles from The Edge, but told it would be three weeks and they would be expensive. They pointed me to a few other shops and highly recommended BMW. The guys at BMW were not particularly eager to help and they laughed at my wooly seat. My bro had used Moto Station a couple weeks earlier for just this service so I pushed on northward into Murry and after consulting my GPS I noticed their sign up on the hill. When I walked in with my sweaty disheveled hair, there was a line and they were serving a few customers so i browsed the sales floor. 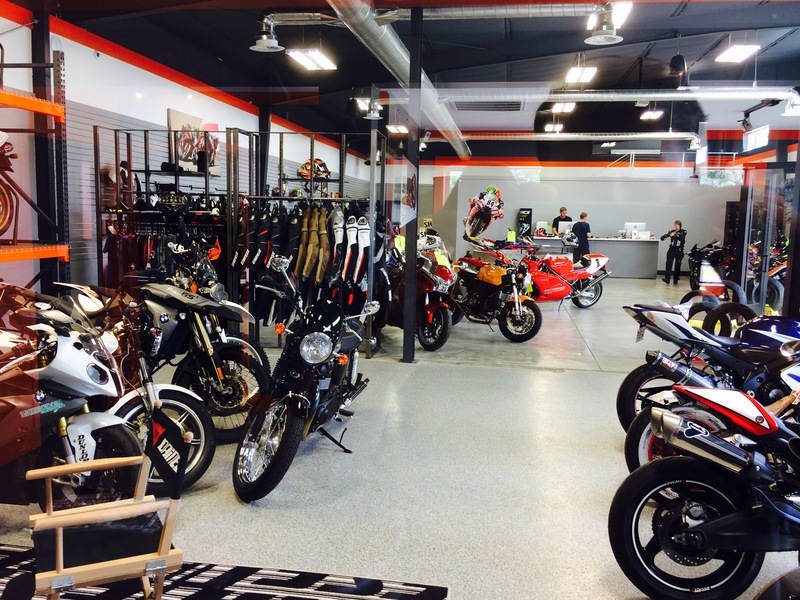 Clean showroom, with nice product. 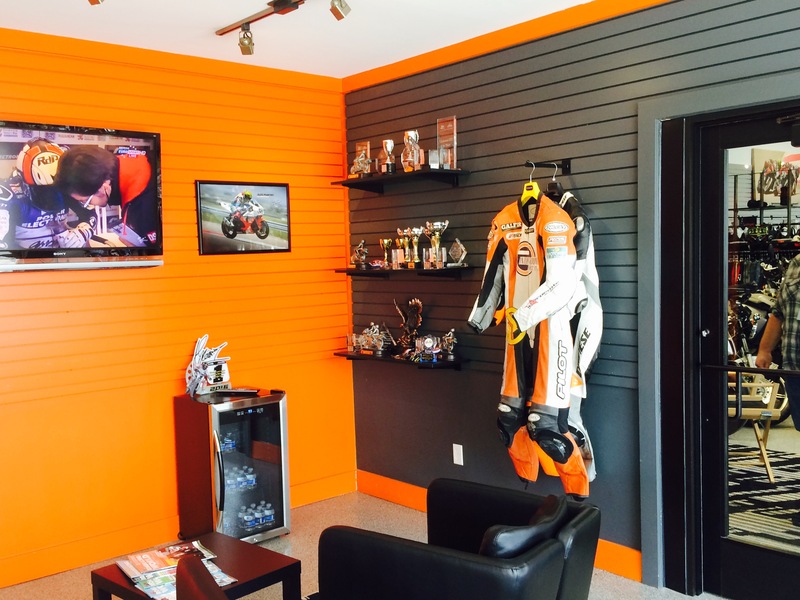 I saw lots of race bikes and some nice merchandise on the walls. The sound from behind the desk was that of guys that know their bikes. So, of course I readied myself for some ribbing or at worst ridicule, but that never came. The guy who served me treated me professionally and didn’t even flinch when I mentioned my bike was a Grom and that I needed the tires done pronto if possible. They got me in at $45 a tire and with a 45 minute guesstimated wait time. Some people get the Grom thing and others simply do not, but businesses should never care one way or another. They should be all about the needs of the customer period. Good service in an industry that kind of encourages snobbery is something special. 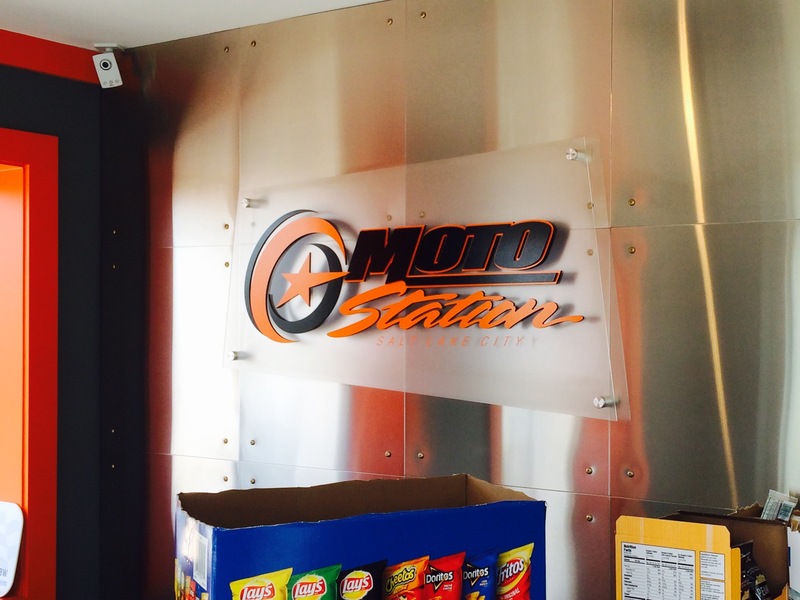 I think I’ll be back to Moto Station next time I need some work done. Next Next post: Moab on Groms, so much fun!